We're a family business operating in rural Maine with the dream of bringing our unique Hobbit Hole designs and high quality craftsmanship to homes everywhere! How Did We Come to Own the World's Only Hobbit Hole Company? The inception of Wooden Wonders was inspired by the birth of our first son, Richard. Rocy is a carpenter by trade and his work required him to travel and work long hours away from home. We wanted to build a business that would utilize Rocy's talent as a designer and craftsman that would also allow us to be based out of our home. Rocy spent his childhood reading fantasy novels and playing out the characters in the fantastical worlds he loved in the back woods of his family home. Our business is the result of combining Rocy's imagination, penchant for design, and woodworking skills. We brought our first Hobbit Hole to the 2009 Common Ground Country Fair in Unity, Maine along with a castle tower playhouse prototype. We were absolutely swarmed with playing children all three days of the event, so we knew we had something that appealed to kids, but what was really telling was the reaction of amazement and curiosity we received about the Hobbit Hole. We knew we had a winning concept. We hit the ground running and started designing and building Hobbit homes for many more applications than playhouses: storage shed, summer room, outdoor home office, pig barn, bus stop, sauna, and the list goes on. 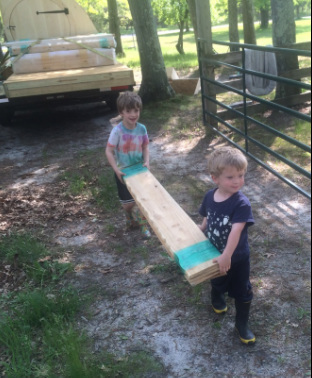 Richard with little brother Maxximus in 2013. All the varied applications we executed with our Hobbit Hole designs over the first few years of the business allowed us a tremendous opportunity to refine and improve our designs so that we would be well positioned to enter into the next phase of the business. We had been building all of our products for customers individually on a custom basis, and if we wanted the business to grow, we had to evolve. We needed an established product line that worked in a production-oriented facility where we could have employees help us build Hobbit houses. We also needed products that we could crate and ship. We love living and working in the community where we were born and raised, but being located in central Maine has its disadvantages. 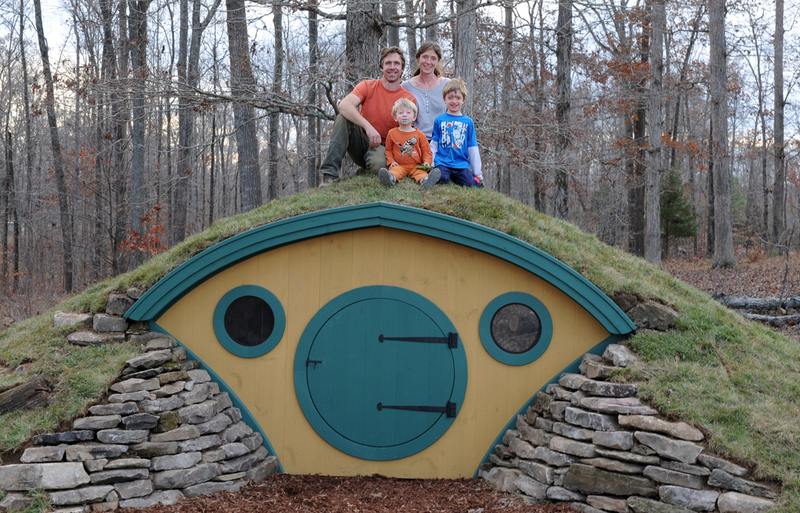 We are far from our customer base, and we couldn't continue to personally deliver every Hobbit Hole we built! The first product we started to ship were our first generation Hobbit Hole chicken coops (because they were small enough to crate and ship), then we developed our second generation Hobbit Hole playhouses that are designed as kits that can be shipped anywhere and assembled by the customer. Our second generation chicken coops were released January 2014, followed by our sod roof ready "Bag End" playhouse design. See our Playhouses page for more info. 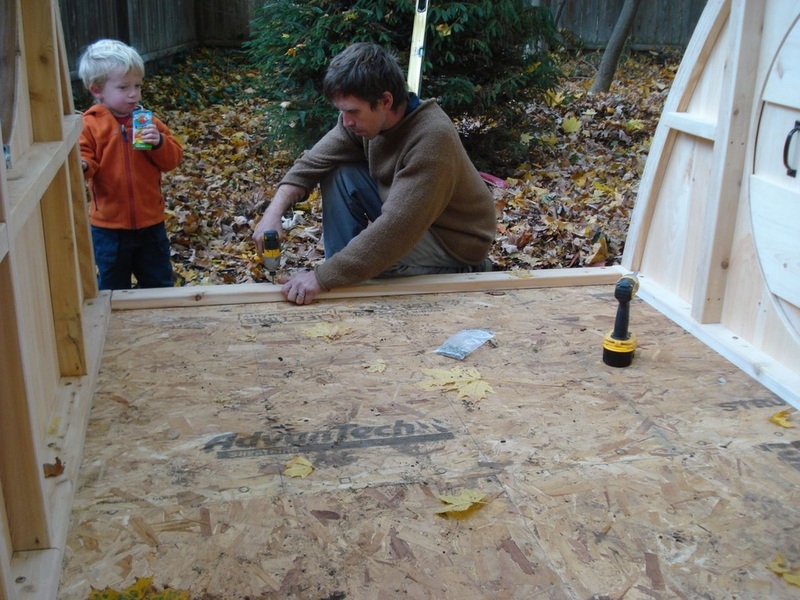 We also now have an adult-sized ready-to-assemble kit design, the Faehaven, and on a very limited basis we build customized, insulated versions of this adult sized design for use as a studio, home office, spare bedroom, etc. Contact us if you'd like information about the range of available styles, sizes, and pricing. We're very excited about the future, and where this endeavor will take us. We plan to keep on doing everything we're doing, but better. We couldn't do it without our wonderful customers who share our love for great design executed with skill and integrity. If you think what we're doing is great, help us tell the world about it! We thank you. Our son Richard posing in the original Wooden Wonders Hobbit Hole (at 10 months old). At five years old: "Richard, what do you want to do when you grow up?" 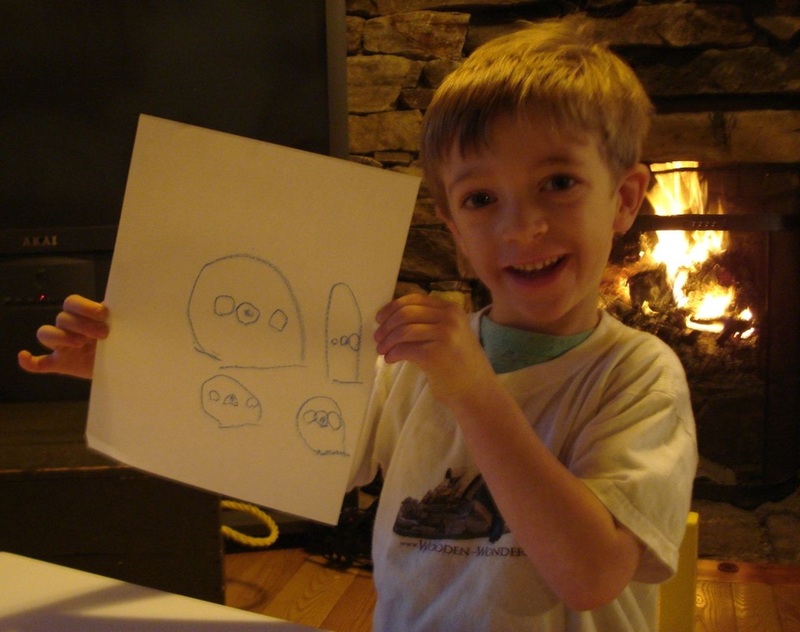 "I want to build Hobbit Holes like Mama and Daddy"